San Bernardino County’s Human Services communications team, the Economic Development Agency and the San Bernardino County Employees’ Retirement Association (SBCERA) were recognized at the 2014 Polaris Awards by the Public Relations Society of America (PRSA)-Inland Empire Chapter on Nov. 19 at Center Stage Theater in Fontana. 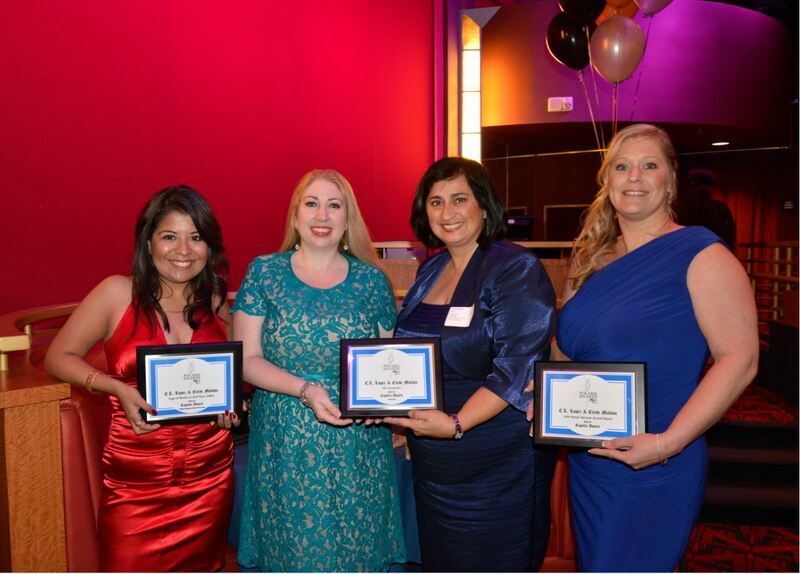 PRSA’s Polaris Awards program recognizes the outstanding and creative public relations strategies used by professionals dedicated to the advancement of communications. Human Services’ communications team; Cindie Perry, deputy director of the Economic Development Agency; and SBCERA were recognized among communications professionals from the private and public sectors. Human Services Communications Officer C.L. Lopez and Media Specialist Cindi Malvin accepted three Capella Awards for the HS Connection newsletter, the 2013 Human Services Annual Report and their photo gallery of the Dogs of Rainbow’s End. The photo gallery of dogs rescued during a 2013 hoarding case was featured in an Associated Press photo gallery and garnered international media coverage. The Economic Development Agency was given a Capella Award for the 2014 State of the County event held at Ontario Business Bank Arena in February.